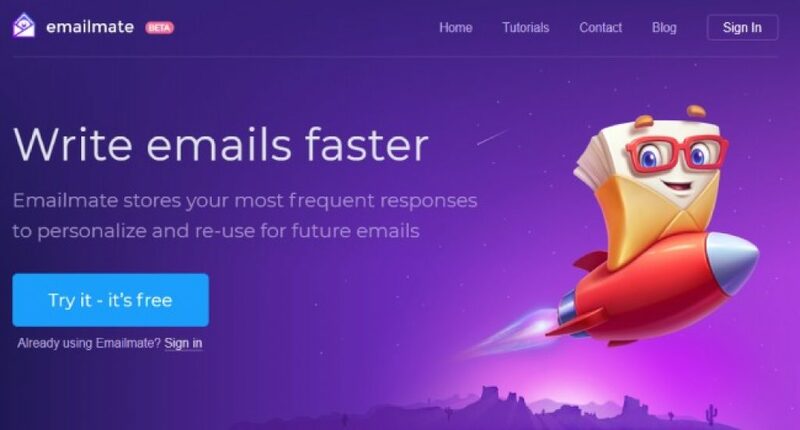 Emailmate stores a user’s most common “canned” email responses and transforms them into useful personalized messages by implementing powerful customization options. No more spending entire days pounding away at a keyboard while other areas of business lag behind. Users can send personalized, meaningful emails that deliver that extra customer service touch in just a few quick seconds. Emailmate stores your most frequent responses to personalize and re-use for future emails. What problems does Emailmate solve? Emailmate makes repetitive emails easier and more fun to answer. businesses, entrepreneurs, support agents, sales teams, or anybody who writes emails. James Parsons is the founder of Emailmate. He writes for sites like Entrepreneur, Inc, and BusinessInsider. Hi! I’m James Parsons. I’m known in marketing circles for my content marketing and SEO expertise. I write for several major publications about blogging and business strategy, and run a small handful of internet-based businesses. I enjoy buying and selling domains, designing websites and coding them (like this one), and creating new useful products for small businesses and individuals. I’ve been mentioned on Forbes, Entrepreneur, Inc, and dozens of other major publications, and my work has been seen by millions of people across the web. Super useful, I’m liking it so far. Saves time, and stores my email templates that I was saving in a notepad document. Generous free account, Mac and Windows app. Will report back after using it for a few months.